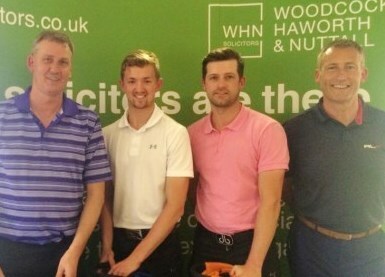 Woodcocks Haworth and Nuttall Solicitors has given Rossendale Hospice a boost by raising £7,000 from two of its popular charity events. 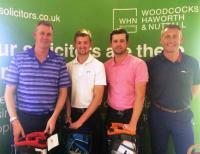 The firm’s annual golf day which took place at Rossendale Golf Club saw 17 take part. Teams included Solomon Commercials, Trevor Dawson, James Killelea & Co, Barclays, Peirce Accountants, PM&M Accountants. The day raised a total of £5,000 which has now been given to the hospice. 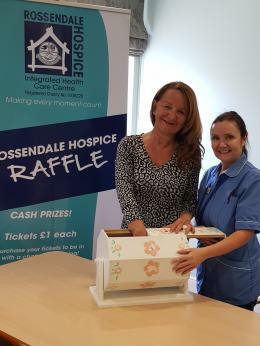 The law firm also threw its weight behind ‘Make a Will Fortnight’ waiving its legal fees and encouraging people to donate to Rossendale Hospice instead. 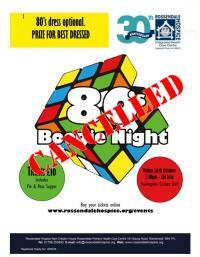 Funds raised from this campaign totalled £2,000. Woodcocks Haworth and Nuttall, which has offices across East Lancashire has been a patron of the hospice for seven years and is its principal charity. David McCann, partner at Woodcocks Haworth and Nuttall, said: “Woodcocks Haworth and Nuttall is extremely proud to have supported Rossendale Hospice over the years. Charity begins at home and we are pleased to support those most in need within our community". Paul Gauntlett, Head of Fundraising at the Hospice said: “Everyone at Rossendale Hospice is extremely grateful to the partners and staff at WHN for their continued support. I cannot overstate the benefit that events such as the two mentioned above bring to us or the added value of the company being a Patron of the Hospice.